Charm's cool (say it out loud). 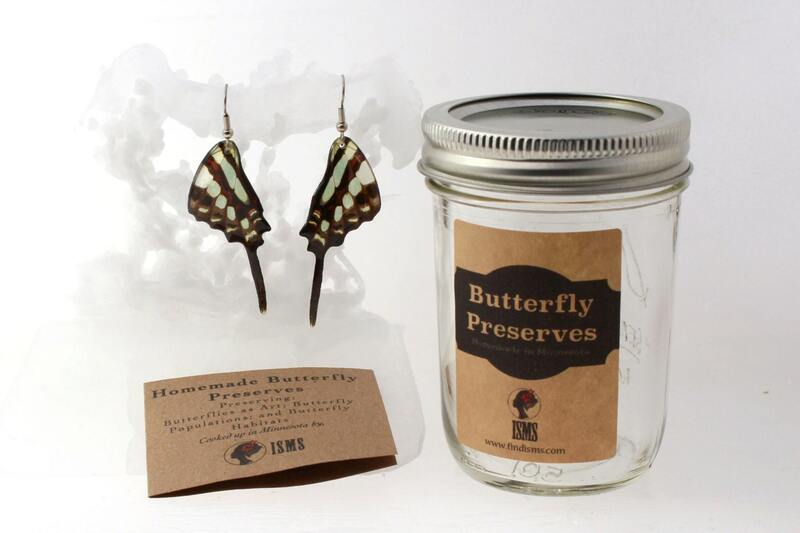 Almost any Isms jewelry purchase can be packaged in our reusable gift jar. It's ok to ask for the jar back full of homemade salsa. Or jam. Let's not be picky. No additional shipping charges on this item. Available one per jewelry item purchased. 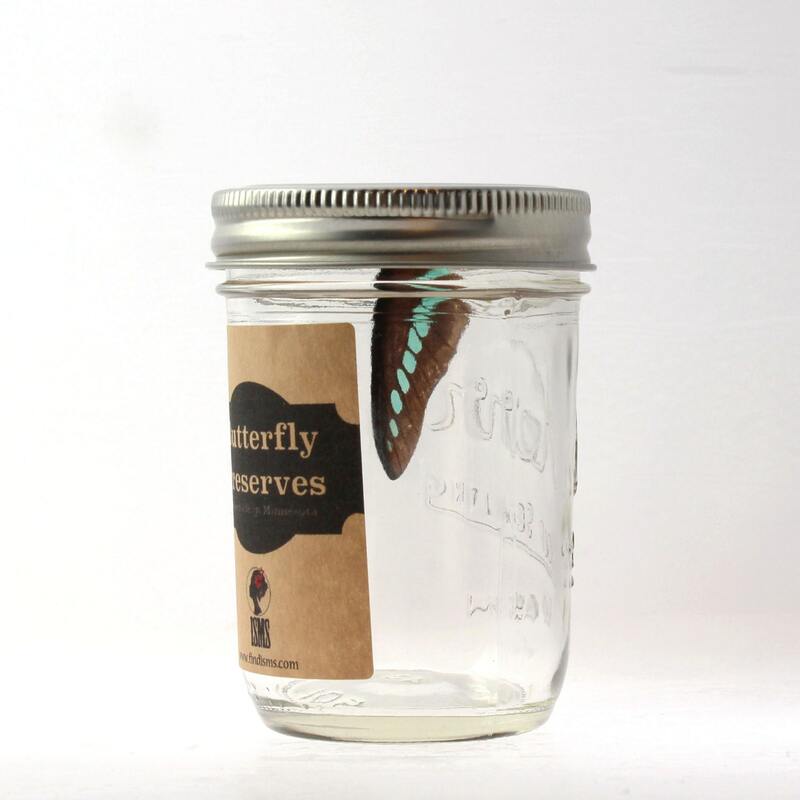 You will receive an 8 oz. 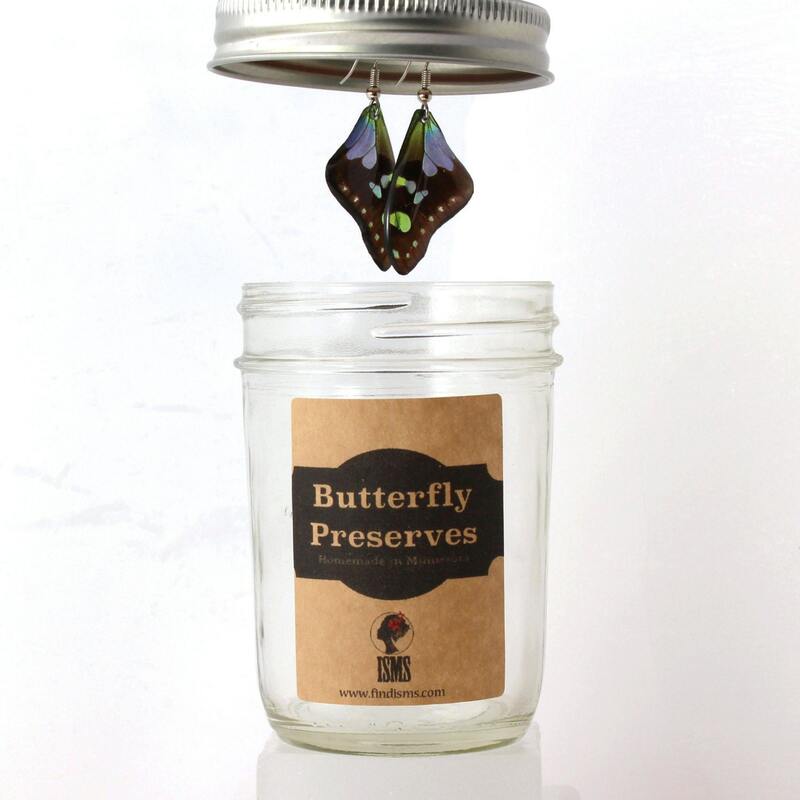 mason jar as gift packaging with our "Butterfly Preserves" label. Our cards fit in the lid! 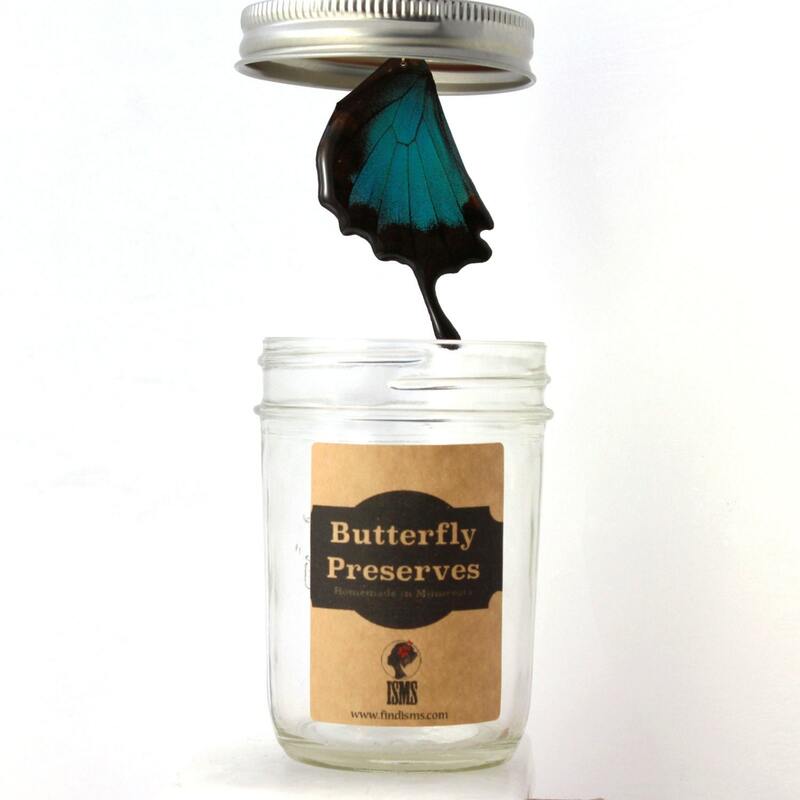 These cards: show our art; explain the wing preservation process; explain our butterfly sourcing; give contact info; provide specific specimen/design info; and care instructions. Darling packaging! Shipped quickly!! Thanks!!! Have not received my item, but Holly has informed me of what happened. Shipped fast. 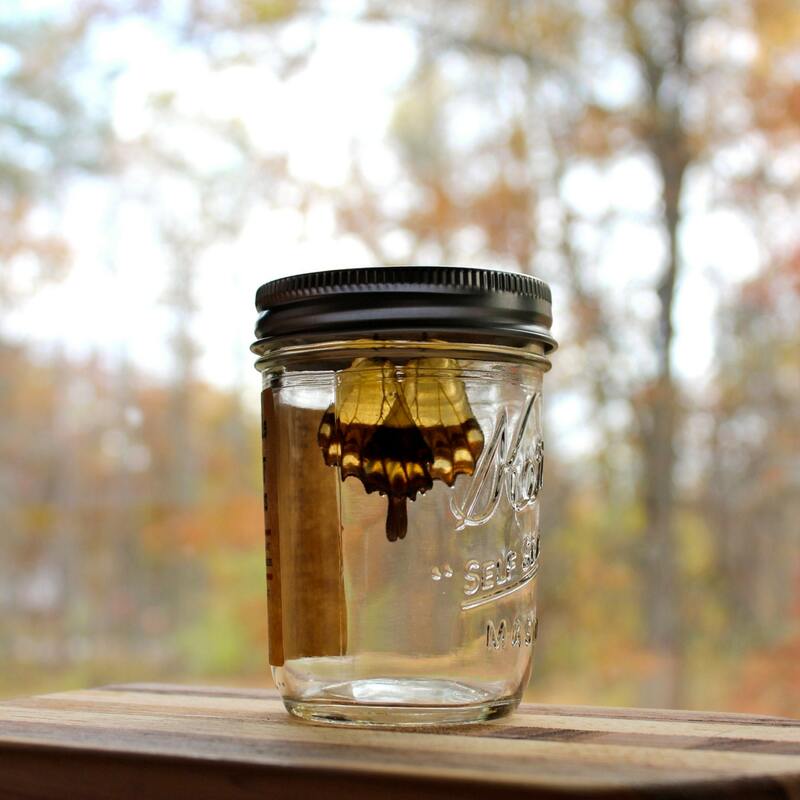 Great presentation for a gift!